Swapping out one meat-based meal each week for a vegetarian meal can help both the planet and your diet! 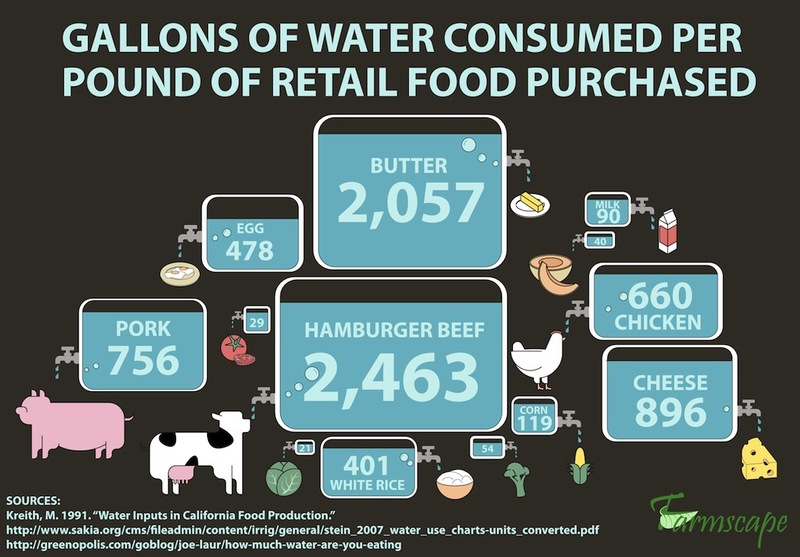 For example, it requires almost 2,500 gallons of water to produce a single pound of beef. Compare this to one pound of cabbage, which only requires 21 gallons of water. Need another way to picture this? For every 5 minutes you spend in the shower, you use about 20 gallons of water. So, one pound of beef is equivalent to nearly 125 five-minute showers. Need some ideas for healthy vegetarian swaps? Check out this vegetarian taco recipe by Simply Recipes. The zucchinis and squash add such an amazing crunch, you won’t even miss the meat!